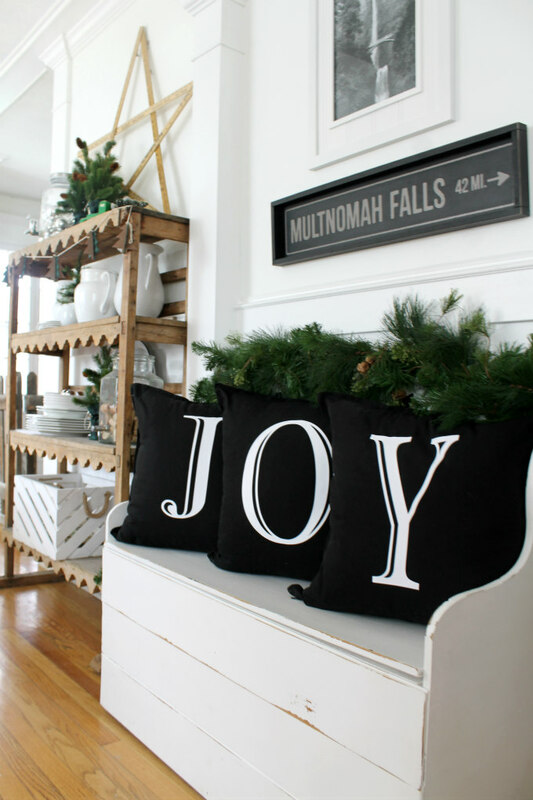 Bring a little JOY to your Christmas decorating! Cute Pillow Alert! 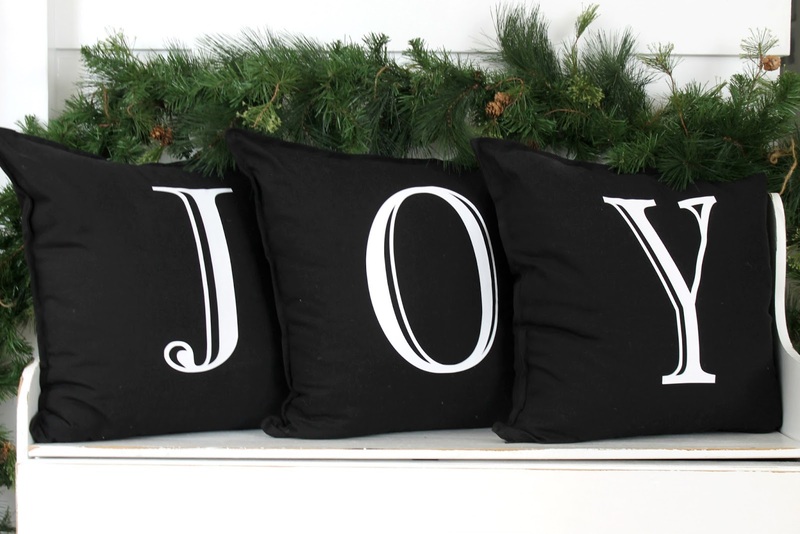 I have the most darling pillows to share with you today! 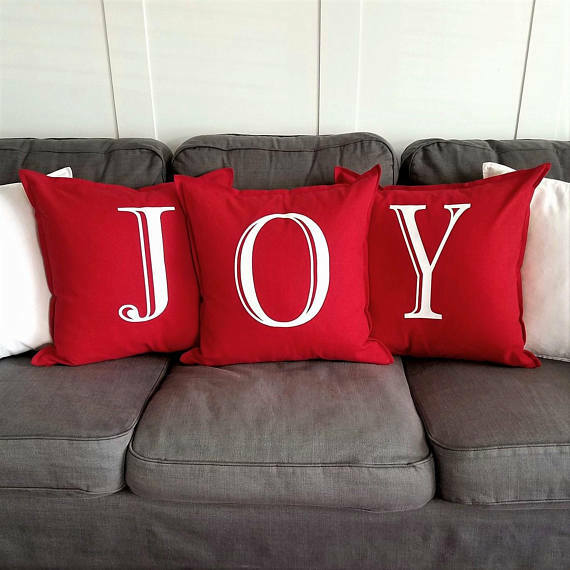 My sweet sister has the cutest Etsy shop, Berkley Ink, where she is selling these adorable JOY pillow covers that she designed and made. And because she is the best sister in the world, she sent me a set of black ones to go with my holiday decorating this year. 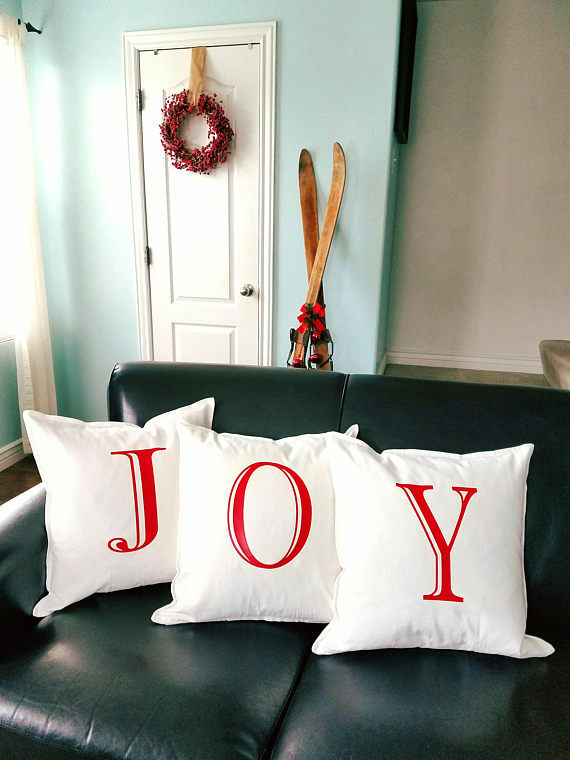 These pillow covers also come in red or white, which I'll share for you at the end of this post. 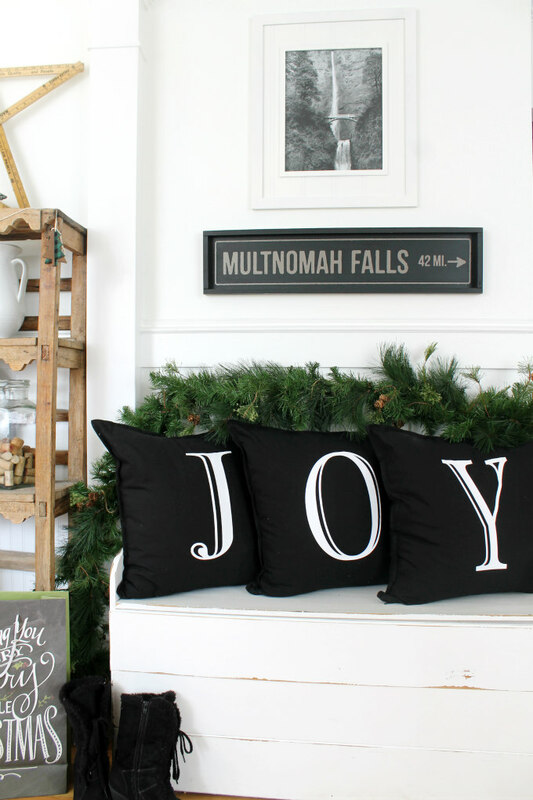 I just love the big statement these pillows make. I placed my pillows on the old white bench in our entryway. 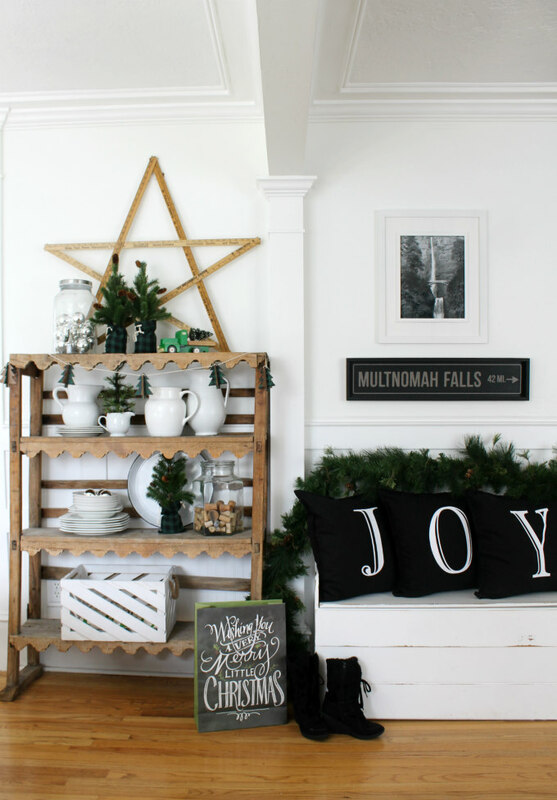 This is the view you get when entering our home and I think it feels cheerful and welcoming. These pillow covers are made with a sturdy canvas cotton and are comfortable to have as throw pillows on a sofa. I'm all about having a comfortable home, so I will not buy any pillows that are purely decorative and not cozy. Also, most of all of my pillows have a down insert. Down is the fluffiest and makes your pillows sit pretty. So if you purchase a set of these pillow covers, I highly recommend adding a down insert to them. 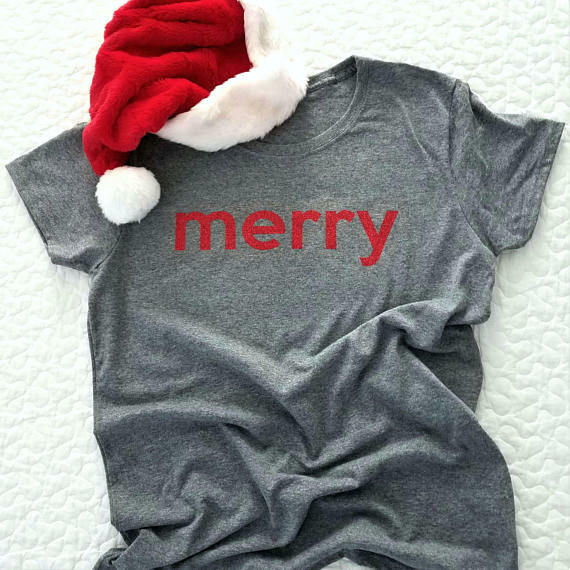 So head to Berkley Ink and place your order today! I really can't decide which color I like best. I chose black because that was kinda my theme for the year, but I really love the red and white ones too. What color is your favorite? Here is another set of adorable pillow covers from Berkley Ink. 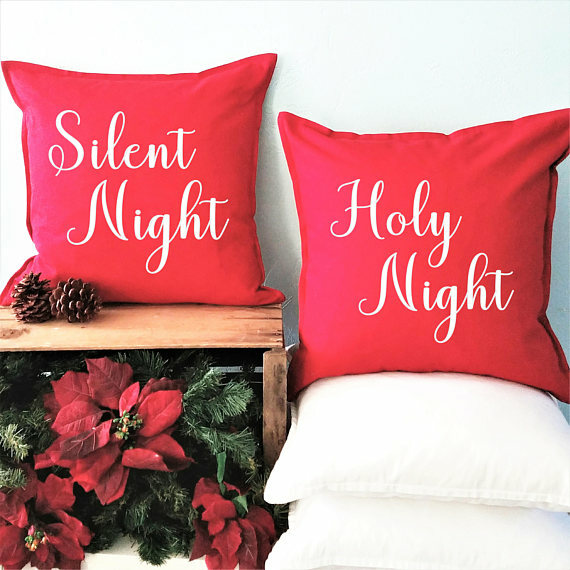 One cover reads, "Silent Night" and the other cover reads, "Holy Night"
And how festive is this Merry shirt? Berkely Ink also sells cute t-shirts, And for only 11 dollars too by the way! 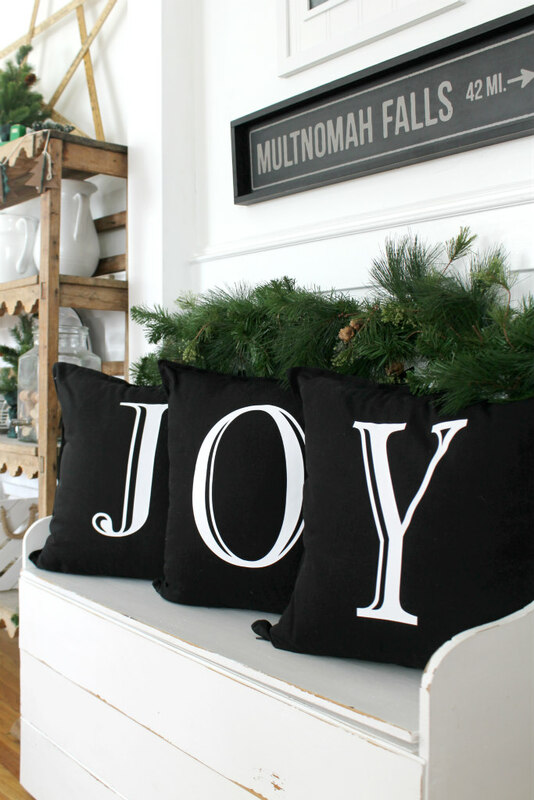 And Thank You, Berkley Ink for the darling Joy Pillows.